Sometimes we just need a quick pick me up and at Perfect Glow Sunless we are huge believers that a pop of color always does the trick. But we also know that for busy people and spray tan artists, scheduling in the time in for your own full spray tan session might be a little tricky. Or maybe you live in a cold winter climate and you aren’t showing much skin these days but still want to look a little glowing. Perfect Glow Sunless comes to the rescue with our luxury whipped tanning mousse! In my own spray tan business many of my clients love using our self-tanning mousse as “makeup” It’s the perfect product to give them a radiant glow AND will last for a few days without having to do a touch up. We love all of the functions of this beautiful product and they love the fact that they are getting the same pro color that I spray them with for them to use at home. Plus they love using a product that is Paraben free, gluten free and Vegan. How to apply as makeup? There are a few ways you can do this. You can customize the application using your makeup brush (which I love to do) to add extra highlighting and contouring. Use your makeup brush or a makeup wedge and apply some mousse right below your cheek bone to give the appearance of a slimmer face. Remember to always go BELOW, or you could risk having your face (or your clients) appear larger. Some clients also like to mix in some of the mousse to their regular foundation and then apply to the face or add to their face moisturizer before they go to bed. Both methods can work beautifully with the right amount. So remember that using too much can be overkill and the opposite of a perfect GLOW, so if you prefer this method just play around and see what your perfect ratio is. It is best to start off less and gradually increase until you find your perfect mix. You can apply the mousse to hit all the areas that you normally contour with face makeup exactly the same way. Just make sure your blending technique is on point. You can blend with makeup brushes, makeup sponges or cloths. Just choose which ever tool you are the most comfortable in handling. I get many clients that don’t like to show much skin, or are traveling to a cool climate and are going to be covered up. So for them, they really only care about tanning the area that is “showing”. For example besides their face, tanning calves (or from the knee down) is a popular request with our Florida gals. Menu item suggestion: Offer your clients a whipped luxury mousse treatment! Our Perfect Glow self-tanning mousse is also the perfect solution & great alternative for those clients with respiratory/asthma issues that can’t spray tan. It also works great on for your pregnant clients in those cases when their doctor does not give permission to spray tan. I understand that mastering the art of the self-tanning application can be a little challenging for some. So I offer an option where I can apply it for them (For the price of a spray tan session) & they get the mousse to take home with them. I also offer demo classes for my clients showing them my pro way on how to apply and provide expert tips for those tricky areas like hands and feet. This helps them they feel completely comfortable using the product and once they know how to apply it flawlessly it keeps them coming back to buy more! Tag #perfectglowsunless on Instagram and happy tanning 📸!! 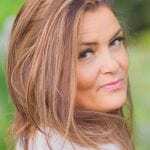 Susan Brand is a Senior sales account manager and sunless educator for Perfect Glow Sunless™ She is located in Florida and is the Spray tan expert of the Treasure Coast area and also the owner of Healthy Glow Airbrush Tanning based out of Port Saint Lucie.